Those of you who follow archaeological news may remember the 2012 Greyfriars dig. In Leicester, England, a team of archeologists uncovered the remains of a medieval friary beneath a modern parking lot. 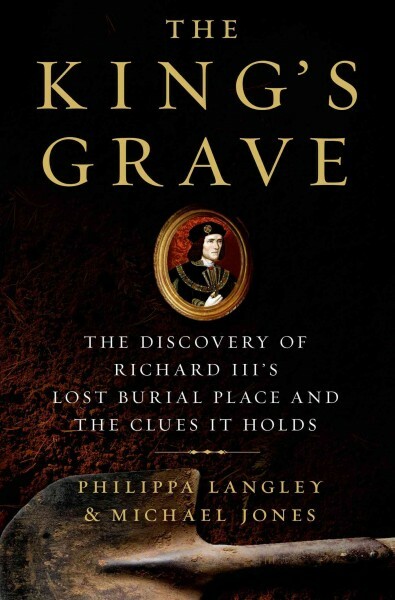 If you don’t remember the bits about the stone bench and the bits of window, you probably remember the bones — later identified as those of Richard III.The project was sponsored by screenwriter Philippa Langley. This is her account of how those bones were found. Langley co-authored the book with historian Michael Jones. I appreciated the alternating chapters. Langley writes about the events leading up to, and during, the dig, using the present tense. I felt as though I was there beside her, meeting the scientists, standing at the side of the trench, excited and uncertain. In contrast, Jones’ chapters take readers back to the 15th century. In the past tense, he gives us the history of the House of York and the Wars of the Roses. He explains the events leading up to Richard’s 1483 taking of the throne and his 1485 defeat at Bosworth. He places the king in the context of his family and time. Keep in mind that Phillippa Langley isn’t an archeologist, though she knows her history. She’s a screenwriter, and can be a tad dramatic. While she did her research, it was intuition, too, that made her focus on that Leicester parking lot. At times, I felt myself cringe a little with the scientists — as she insists on placing Richard’s banner over the bones as they’re removed from the site, for instance. We know in hindsight that her intuition was right all along, though, so she gets a break! The story of Richard III is history at its most exciting. The story of the Greyfriars dig and its most famous find seems too good to be true, until you read about the research and the dedication that made it happen. This coming spring, Richard III will be reburied in Leicester — but this time, he won’t get stuck beneath a parking lot. Come on back and pick up this book to hear the whole story. The WRL has a print copy of The King’s Grave, as well as the audiobook, read by Corrie James. James is an excellent reader — very clear and very English — and does a good job of bringing Langley’s narrative to life. Either format comes recommended. Today’s review marks the blogging debut of Meghan from Circulation Services. Be sure to check out her posts on Wednesday and Thursday, too. There are countless books out there about languages, about their history, their grammar, and so on. But — have you ever read one about invented languages? I hadn’t, until I discovered linguist Arika Okrent’s fun little book. This is an interesting and irreverent look at the history of conlangs (constructed languages), as well as the lives of their eccentric inventors. 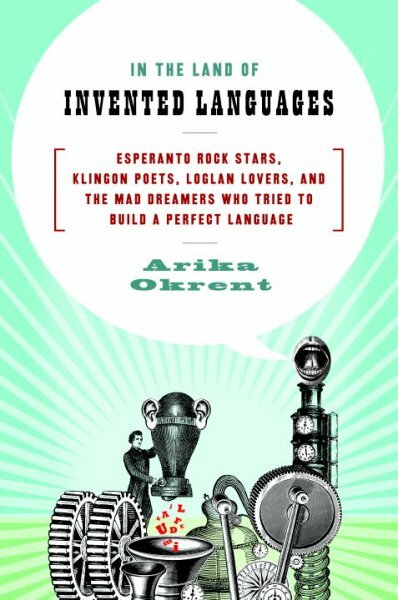 While she includes many interesting facts and anecdotes, Okrent keeps to a chronological order, and readers can see the trends in language invention over time, starting with 17th-century attempts to define the absolute meaning of everything and finishing with Klingon. From philosophy to world peace to Star Trek, people have quite a few different reasons to try language invention! Some inventors and languages she mentions in passing, like Elmer Hankes and Ehmay Ghee Chah. Some, she describes in more depth, like Fuishiki Okamoto and Babm. I can’t possibly list them all here. The big ones she goes into big-time, like Esperanto. If you’ve ever heard of an invented universal language, it was probably Esperanto. Invented by Dr. Ludwik Zamenhof, “Doctoro Esperanto,” and officially published in 1887, it still boasts thousands of international speakers. There are certainly more Esperantists then there are Klingon speakers, but Okrent looks into auxlangs too —languages invented for creative purposes. This is where Tolkien’s famous Elvish languages fit, for instance. Does Okrent try to learn Esperanto? Yes. But, in case you were worried that this book was getting too serious, I can assure you —she also tries to learn Klingon. In the Land of Invented Languages presents conlangs and their history in a readable and engaging way, and I highly recommend it for anyone thinking “Invent a language? How weird. Why would anyone do that?” Okrent’s book gives you some answers, and makes you laugh in the process.